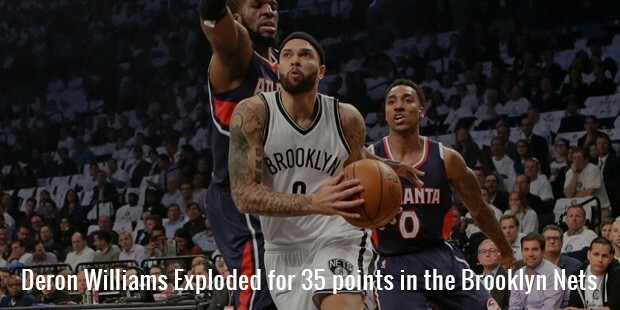 Deron Williams is a 3-time NBA All-Star point guard basketball player currently playing for Dallas Mavericks of NBA. He had also played for the Be?ikta? of Turkish Basketball League, and won gold medal on the US National Team for the Summer Olympics of 2008 and 2012. Earlier, he played for the University of Illinois, and then started his NBA career in the year 2005. 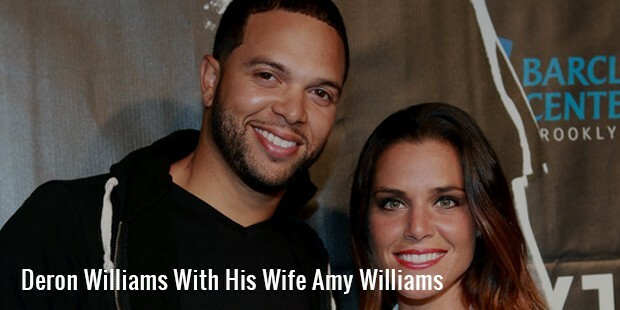 Deron is the son of Denise Smith, who herself was a volleyball and basketball player in her college years. He was mostly raised by his mother, who was his source of inspiration. Being physically fit and healthy, he won a number of weight class and wrestling championships during his school days. As a senior in 2002, he averaged 2.6 steals, 6.1 rebounds, 8.5 assists and 17.6 points per game. 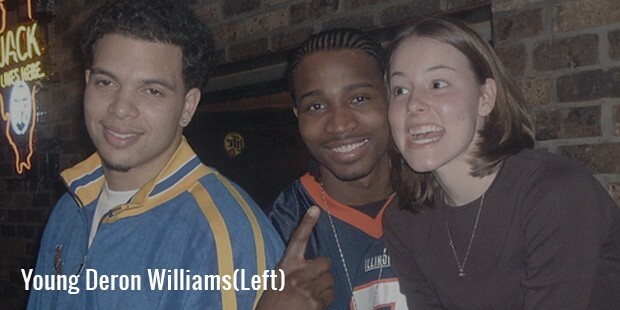 Williams played college basketball for the University of Illinois in 2002-03, and started 30 out of 32 games, and ranked third in the Big Ten Conference. During his second year, he improved not only his average score from 6.3 to 14 points per game, but also the number of assists per game. 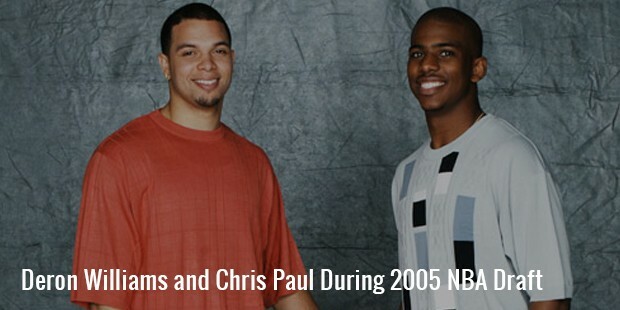 After the season of 2005, he forewent his college’s final year, and entered the NBA Draft. The build of his body is one of his biggest assets. He is too quick for his size, and always plays a controlled game. The most notable thing about him is his self-confidence. For him, to achieve a score of 20 is child's play, but he believes in the team spirit, and hence allows all to play. He started his NBA career in 2005 with Utah Jazz, and continued with them till 2011. 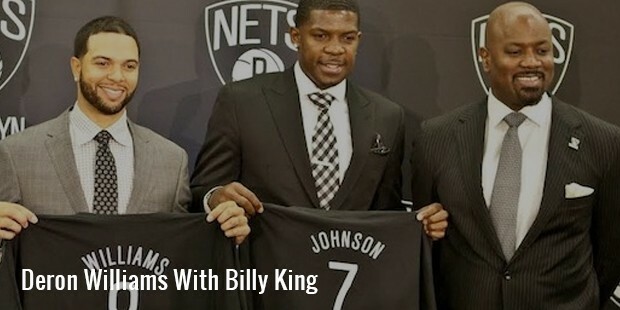 After the end of 2011 season, he joined New Jersey and Brooklyn Nets. In 2015, he signed with Dallas Mavericks, and is still with them. He is the only NBA player who registered 20 points and more than 10 assists in all first 5 games of an NBA play-off series. He is ranked fourth on Jazz all-time assists, and has also got a Jazz rookie record for three pointers. His 10.8 points per game is the fourth highest average score ever made by a Jazz rookie. 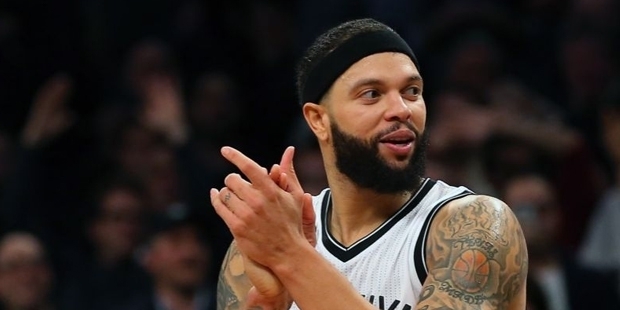 Deron William’s contribution to the NBA history has made him one of the richest and most popular players out there. Basketball fans have their eyes fixed on him, and hope to see many more amazing achievements from this basketball superstar. After the 2004-5 season, he received a number of awards, including the 2nd Team All American, Big Ten All-Tournament Team, First Team All-Big Ten, and All-Final Four team. He also became a finalist for Wooden Award, and was selected as the Most Outstanding Player of Chicago Regional in NCAA Tournament. Deron married his schoolmate Amy Young, and has 4 children.